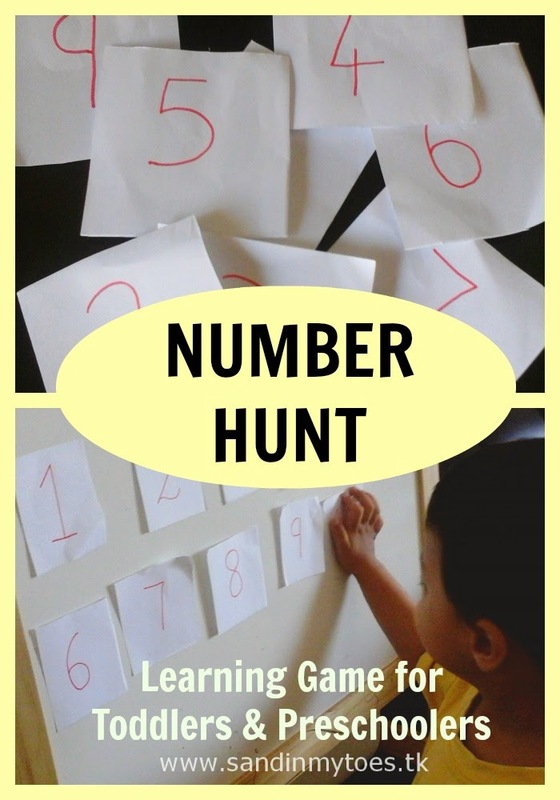 One of the earliest learning games I played with Little Dude was the Number Hunt. 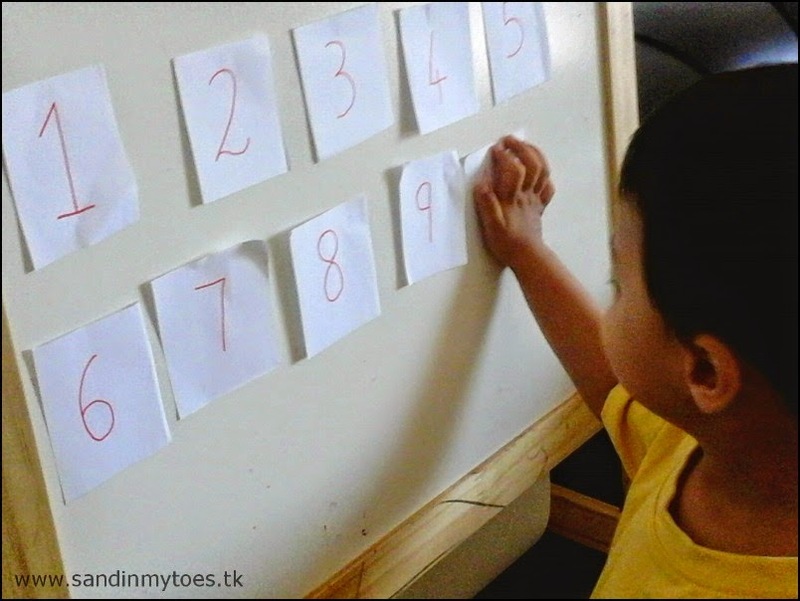 It's a very simple game which promotes learning numbers by recognizing them, and placing them in the right order. This activity is really quick to set up and there's an added element of the finding hidden things. You only need two things to play the Number Hunt - Post-It notes and a marker. In fact, when I took photos for this post, I was out of Post-It notes. So, I improvised and used regular paper and sellotape! Just write the numbers on the notes, 1 to 10, or higher if your child recognises them. Hide them across the room. I make them fairly obvious, because, apart from finding the numbers, Little Dude also has to find them in order. Finding the numbers in the right order is the important part of the game. 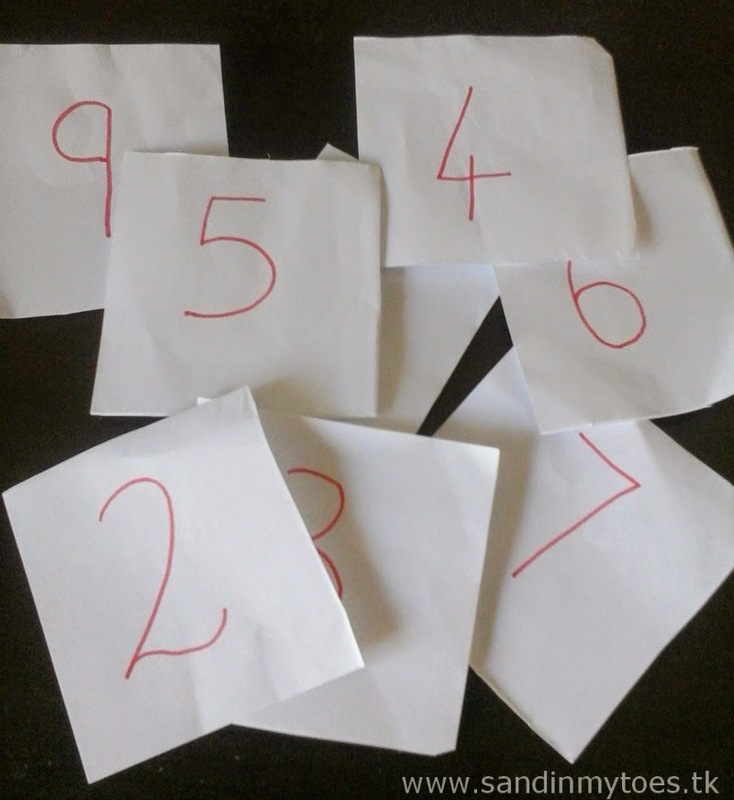 One by one, place the numbers on a white board or even on a door, in order. See? 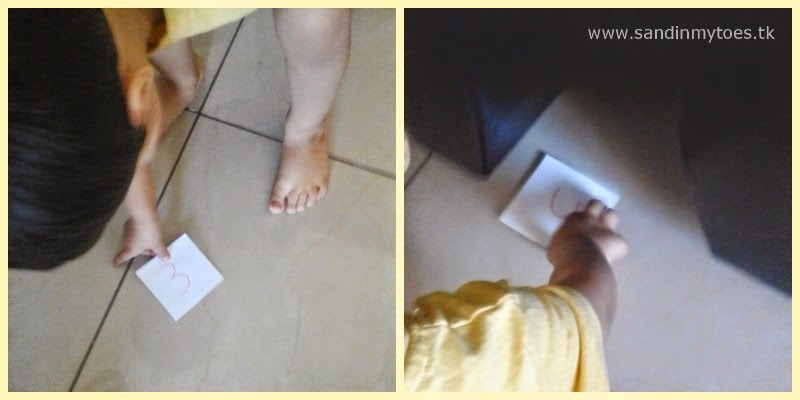 It's that simple, and a game that toddlers and preschoolers will really like playing. You can make the hiding places suitable for the age of your child. 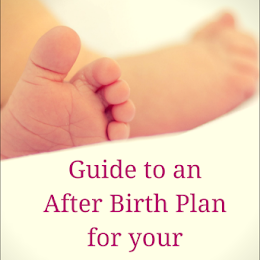 with toddlers and young children). 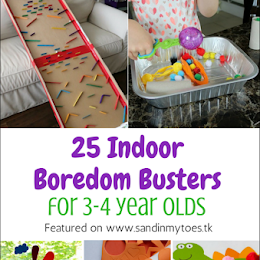 This is something we can do at home for my 3 year old! Sounds more fun than our usual number identification using the book! Love this! Finding and putting them in order definitely adds an extra layer. My son is obsessed with hide and seek at the moment, so hiding anything is a big hit! Great simple game for preschoolers. I love ideas for easy games, I must try this with my girls. You should try it, it's really fun to do! Mine loves hiding games too, we're always playing them! Thanks, hope your girls like it! I'm sure he'll love this game, Caroline! Glad you liked it, Danielle! It's really a fun way to learn numbers. 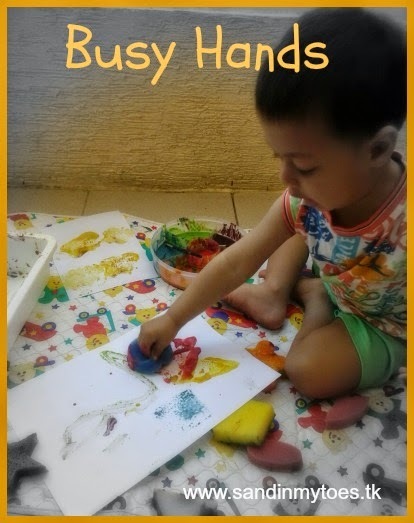 I love this easy and fun activity! 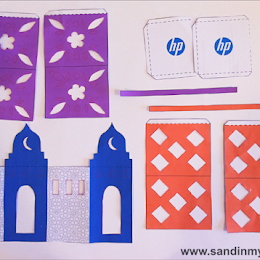 Thanks for sharing at Love to Learn Linky!